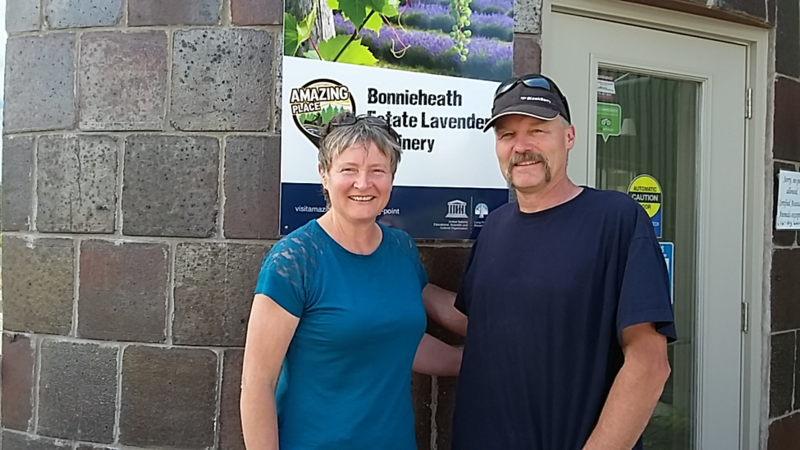 Owners Anita and Steve Buehner of Bonnieheath Estate Lavender & Winery proudly display their new signage. “Being named a Long Point World Biosphere Reserve Amazing Place means we are heading in the right direction in creating an agri-tourism destination here in Norfolk County. We are passionate about education and love to share information about our farm’s past and our community’s past. We are just one of Norfolk’s Amazing Places waiting to be discovered. “ stated Anita. Environmental stewardship is a fundamental goal of Bonnieheath’s revitalization project. The Long Point World Biosphere Reserve Foundation is proud to have Bonnieheath Estate Lavender & Winery as one of our 10 Amazing Places.